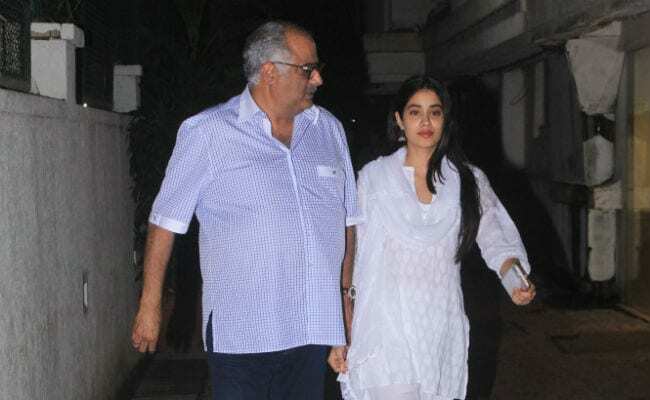 Janhvi Kapoor spent some quality time with her family on Saturday. 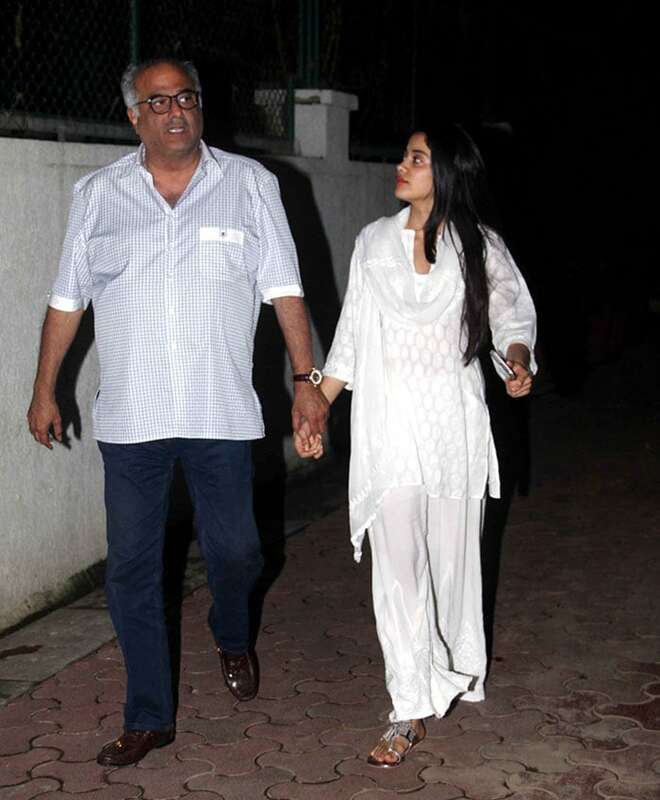 Janhvi made a trip to brother Arjun Kapoor's home with father Boney Kapoor and sister Khushi. 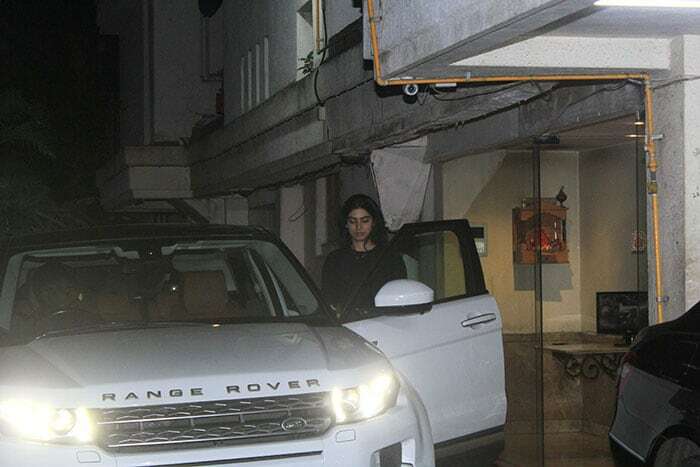 The 21-year-old actress was photographed exiting Arjun's Juhu residence with her father. Janhvi was dressed in a white salwar kameez while Khushi opted for a black sweatshirt and pink pants. 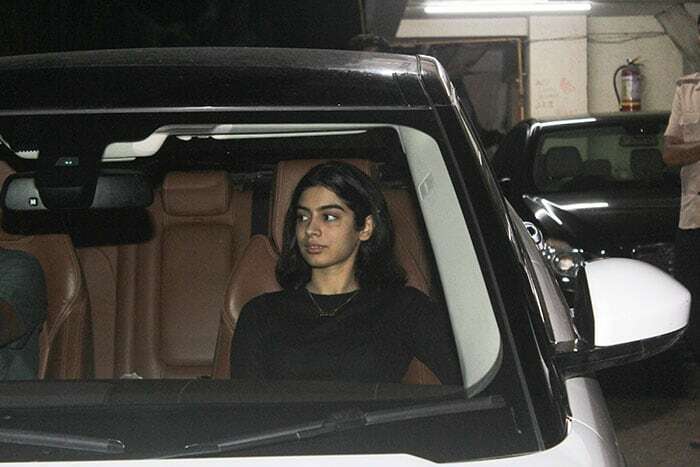 Janhvi, who recently made her Bollywood debut with Shashank Khaitan's Dhadak, is often spotted hanging out with Khushi, Arjun and Anshula. Janhvi and Khushi are Boney Kapoor and Sridevi's elder daughter while Arjun is Boney Kapoor's son with his first wife Mona Shourie. 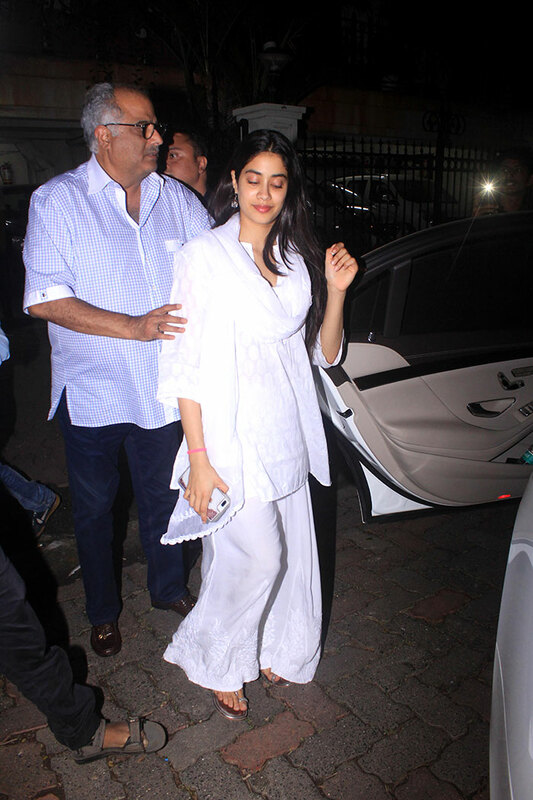 Just after Dhadak's release, Janhvi Kapoor went on a movie date with Arjun Kapoor and sisters Shanaya and Anshula Kapoor. 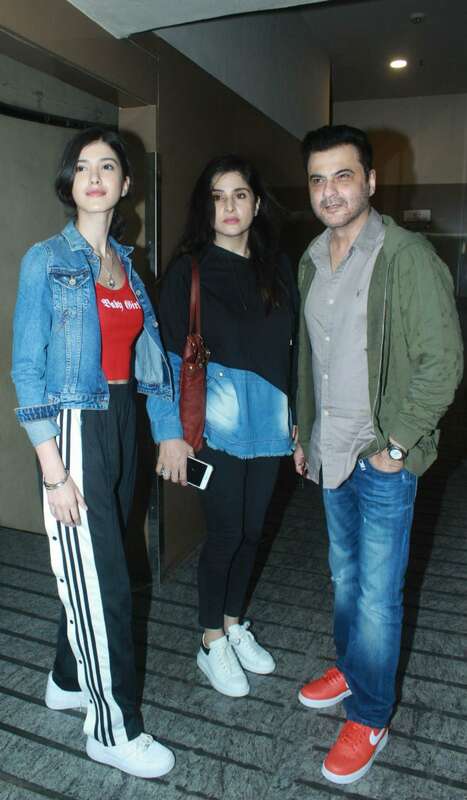 The squad was joined by Sanjay Kapoor and wife Maheep. Here are photos from their outing. Janhvi Kapoor's debut film Dhadak witnessed a remarkable business at the box office. Speaking about Dhadak's success, Boney Kapoor told news agency PTI: "I was somewhere sure it would do very well. 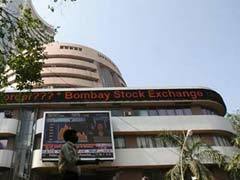 I have told Janhvi to remain simple, honest, focused and hardworking as she has been so far." Meanwhile, Janhvi Kapoor has also signed her second film, which will be directed by none other than Karan Johar. She is part of Karan's epic tale Takht, which also stars Kareena Kapoor, Ranveer Singh, Alia Bhatt, Vicky Kaushal, Raveena Tandon, Anil Kapoor and Bhumi Pednekar. 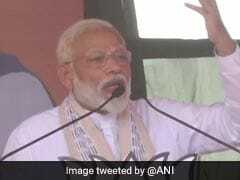 In an interview to PTI, Janhvi had expressed her gratitude to Karan for giving her the opportunity: "I am still in shock. It hasn't sunk in yet. It's a big deal for me. I am eternally grateful and blessed that Karan has allowed me to be a part of the film."